Not to be confused with Education in Austria. The Austrian School is a school of economic thought that is based on the concept of methodological individualism – that social phenomena result from the motivations and actions of individuals. It originated in late-19th and early-20th century Vienna with the work of Carl Menger, Eugen Böhm von Bawerk, Friedrich von Wieser, and others. It was methodologically opposed to the Prussian Historical School (in a dispute known as Methodenstreit). Current-day economists working in this tradition are located in many different countries, but their work is still referred to as Austrian economics. Since the mid-20th century, many economists have been critical of the Austrian School and consider its rejection of econometrics and aggregate macroeconomic analysis to be outside of mainstream economic theory, or "heterodox." Austrians are likewise critical of mainstream economics. Although the Austrian School has been considered heterodox since the late 1930s, it began to attract renewed interest in the 1970s, after Friedrich Hayek shared the 1974 Nobel Memorial Prize in Economic Sciences. Menger's contributions to economic theory were closely followed by those of Böhm-Bawerk and Friedrich von Wieser. These three economists became what is known as the "first wave" of the Austrian School. Böhm-Bawerk wrote extensive critiques of Karl Marx in the 1880s and 1890s, as was part of the Austrians' participation in the late 19th-century Methodenstreit, during which they attacked the Hegelian doctrines of the Historical School. Several important Austrian economists trained at the University of Vienna in the 1920s and later participated in private seminars held by Ludwig von Mises. These included Gottfried Haberler, Friedrich Hayek, Fritz Machlup, Karl Menger (son of Carl Menger), Oskar Morgenstern, Paul Rosenstein-Rodan Abraham Wald, among others. By the mid-1930s, most economists had embraced what they considered the important contributions of the early Austrians. After World War II, Austrian economics was disregarded or derided by most economists because it rejected mathematical and statistical methods in the study of economics. Fritz Machlup quoted Hayek's statement, "the greatest success of a school is that it stops existing because its fundamental teachings have become parts of the general body of commonly accepted thought." Mises' student, Israel Kirzner recalled that in 1954, when Kirzner was pursuing his PhD, there was no separate Austrian School as such. When Kirzner was deciding which graduate school to attend, Mises had advised him to accept an offer of admission at Johns Hopkins because it was a prestigious university and Fritz Machlup taught there. After 1940, Austrian economics can be divided into two schools of economic thought, and the school "split" to some degree in the late 20th century. One camp of Austrians, exemplified by Mises, regards neoclassical methodology to be irredeemably flawed; the other camp, exemplified by Friedrich Hayek, accepts a large part of neoclassical methodology and is more accepting of government intervention in the economy. Henry Hazlitt wrote economics columns and editorials for a number of publications and wrote many books on the topic of Austrian economics from the 1930s to the 1980s. Hazlitt's thinking was influenced by Mises. His book Economics in One Lesson (1946) sold over a million copies, and he is also known for The Failure of the "New Economics" (1959), a line-by-line critique of John Maynard Keynes's General Theory. 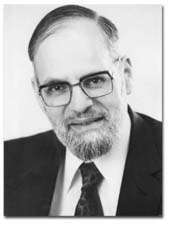 The reputation of the Austrian School rose in the late-20th century due in part to the work of Israel Kirzner and Ludwig Lachmann at New York University, and to renewed public awareness of the work of Hayek after he won the 1974 Nobel Memorial Prize in Economic Sciences. Hayek's work was influential in the revival of laissez-faire thought in the 20th century. According to economist Bryan Caplan, by the late twentieth century, a split had developed among those who self-identify with the Austrian School. One group, building on the work of Hayek, follows the broad framework of mainstream neoclassical economics, including its use of mathematical models and general equilibrium, and brings a critical perspective to mainstream methodology merely influenced by the Austrian notions such as the economic calculation problem and the independent role of logical reasoning in developing economic theory. A second group, following Mises and Rothbard, rejects the neoclassical theories of consumer and welfare economics, dismisses empirical methods and mathematical and statistical models as inapplicable to economic science, and asserts that economic theory went entirely astray in the twentieth century; they offer the Misesian view as a radical alternative paradigm to mainstream theory. Caplan wrote that if "Mises and Rothbard are right, then [mainstream] economics is wrong; but if Hayek is right, then mainstream economics merely needs to adjust its focus." Economist Leland Yeager discussed the late twentieth century rift and referred to a discussion written by Murray Rothbard, Hans-Hermann Hoppe, Joseph Salerno, and others in which they attack and disparage Hayek. "To try to drive a wedge between Mises and Hayek on [the role of knowledge in economic calculation], especially to the disparagement of Hayek, is unfair to these two great men, unfaithful to the history of economic thought" and went on to call the rift subversive to economic analysis and the historical understanding of the fall of Eastern European communism. In a 1999 book published by the Ludwig von Mises Institute (Mises Institute), Hans-Hermann Hoppe asserted that Murray Rothbard was the leader of the "mainstream within Austrian Economics" and contrasted Rothbard with Nobel Laureate Friedrich Hayek, whom he identified as a British empiricist and an opponent of the thought of Mises and Rothbard. Hoppe acknowledged that Hayek was the most prominent Austrian economist within academia, but stated that Hayek was an opponent of the Austrian tradition which led from Carl Menger and Böhm-Bawerk through Mises to Rothbard. Austrian economist Walter Block says that the "Austrian school" can be distinguished from other schools of economic thought through two categories - economic theory and political theory. 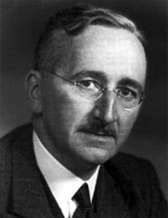 According to Block, while Hayek can be considered an "Austrian economist", his views on political theory clash with the libertarian political theory which Block sees as an integral part of the Austrian school. Economists of the Hayekian view are affiliated with the Cato Institute, George Mason University (GMU), and New York University, among other institutions. They include Peter Boettke, Roger Garrison, Steven Horwitz, Peter Leeson and George Reisman. Economists of the Mises-Rothbard view include Walter Block, Hans-Hermann Hoppe, Jesús Huerta de Soto and Robert P. Murphy, each of whom is associated with the Mises Institute and some of them also with academic institutions. According to Murphy, a "truce between (for lack of better terms) the GMU Austro-libertarians and the Auburn Austro-libertarians" was signed around 2011. The Austrian School theorizes that the subjective choices of individuals including individual knowledge, time, expectation, and other subjective factors, cause all economic phenomena. Austrians seek to understand the economy by examining the social ramifications of individual choice, an approach called methodological individualism. It differs from other schools of economic thought, which have focused on aggregate variables, equilibrium analysis, and societal groups rather than individuals. 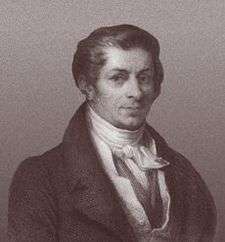 In the twentieth and twenty-first centuries, economists with a methodological lineage to the early Austrian School developed many diverse approaches and theoretical orientations. For example, in 1949, Ludwig von Mises organized his version of the subjectivist approach, which he called "praxeology", in a book published in English as Human Action. :3 In it, Mises stated that praxeology could be used to deduce a priori theoretical economic truths and that deductive economic thought experiments could yield conclusions which follow irrefutably from the underlying assumptions. He wrote that conclusions could not be inferred from empirical observation or statistical analysis and argued against the use of probabilities in economic models. Since Mises' time, some Austrian thinkers have accepted his praxeological approach, while others have adopted alternative methodologies. For example, Fritz Machlup, Friedrich Hayek, and others, did not take Mises' strong a priori approach to economics. :225–235 Ludwig Lachmann, a radical subjectivist, also largely rejected Mises' formulation of Praxeology in favor of the verstehende Methode (interpretive method) articulated by Max Weber. In the 20th century, various Austrians incorporated models and mathematics into their analysis. Austrian economist Steven Horwitz argued in 2000, that Austrian methodology is consistent with macroeconomics and that Austrian macroeconomics can be expressed in terms of microeconomic foundations. Austrian economist Roger Garrison writes that Austrian macroeconomic theory can be correctly expressed in terms of diagrammatic models. In 1944, Austrian economist Oskar Morgenstern presented a rigorous schematization of an ordinal utility function (the Von Neumann–Morgenstern utility theorem) in Theory of Games and Economic Behavior. Fritz Machlup listed the typical views of Austrian economic thinking. (2) Methodological Subjectivism: In the explanation of economic phenomena we have to go back to judgments and choices made by individuals on the basis of whatever knowledge they have or believe to have and whatever expectations they entertain regarding external developments and especially the perceived consequences of their own intended actions. Opportunity cost is a key concept in mainstream economics, and has been described as expressing "the basic relationship between scarcity and choice". The notion of opportunity cost plays a crucial part in ensuring that resources are used efficiently. The Austrian theory of capital and interest was first developed by Eugen Böhm von Bawerk. He stated that interest rates and profits are determined by two factors, namely, supply and demand in the market for final goods and time preference. 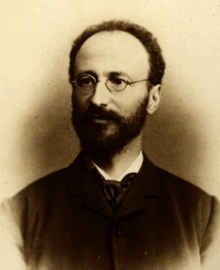 Böhm-Bawerk's theory was a response to Marx's labor theory of value and capital. Böhm-Bawerk's theory attacked the viability of the labor theory of value in the light of the transformation problem. His conception of interest countered Marx's exploitation theory. Marx famously argued that capitalists exploit workers by paying them less than the fruits of their labor sell for. Bohm-Bawerk countered this assertion by invoking the concept of time preference to demonstrate that everyone values present consumption more than future consumption, and therefore that a difference between the (smaller) salary laborers that are paid in the present and the (greater) price for which the goods they produce are later sold need not be exploitative. Austrian theory emphasizes the organizing power of markets. Hayek stated that market prices reflect information, the totality of which is not known to any single individual, which determines the allocation of resources in an economy. Because socialist systems lack the individual incentives and price discovery processes by which individuals act on their personal information, Hayek argued that socialist economic planners lack all of the knowledge required to make optimal decisions. Those who agree with this criticism view it as a refutation of socialism showing that socialism is not a viable or sustainable form of economic organization. The debate rose to prominence in the 1920s and 1930s, and that specific period of the debate has come to be known by historians of economic thought as The Socialist Calculation Debate. Mises argued in a 1920 essay "Economic Calculation in the Socialist Commonwealth" that the pricing systems in socialist economies were necessarily deficient because if government owned the means of production, then no prices could be obtained for capital goods as they were merely internal transfers of goods in a socialist system and not "objects of exchange," unlike final goods. Therefore, they were unpriced and hence the system would be necessarily inefficient since the central planners would not know how to allocate the available resources efficiently. This led him to write "that rational economic activity is impossible in a socialist commonwealth." The Austrian theory of the business cycle ("ABCT") focuses on banks' issuance of credit as the cause of economic fluctuations. Although later elaborated by Hayek and others, the theory was first set forth by Mises, who believed that banks extend credit at artificially low interest rates, causing businesses to invest in relatively roundabout production processes. Mises stated that this led to a misallocation of resources which he called malinvestment. According to the theory, malinvestment is induced by banks' excessive and unsustainable expansion of credit to businesses. Businesses borrow at unsustainably low interest rates and overinvest in capital-intensive production processes, which in turn leads to a diversion of investment from consumer goods industries to capital goods industries. Austrians contend that this shift is unsustainable and must eventually be reversed, and that the re-adjustment process will be more violent and disruptive the longer the putative malinvestment in capital goods industries continues. According to the Austrian view, the proportion of income allocated to consumption rather than saving is determined by the interest rate and people's time preference, which is the degree to which they prefer present to future satisfactions. According to this view, the pure interest rate is determined by the time preferences of the individuals in society. If the market rate of interest offered by banks is set lower than this, business borrowing will be excessive and will be allocated to malinvestment. Newly extended credit thus malinvested will circulate from the business borrowers to the factors of production: landowners, capital goods producers, and capital goods workers. Austrians state that, because individuals' time preferences have not changed, the market will tend to reestablish the old proportions between current and future production. Depositors will tend to remove cash from the banking system and spend it (not save it), banks will then ask their borrowers for repayment, and the excessive capital goods will be liquidated at lower prices to retire the now-unprofitable loans. According to Mises, central banks enable the commercial banks to fund loans at artificially low interest rates, thereby inducing an unsustainable expansion of bank credit and impeding any subsequent contraction. Friedrich Hayek disagreed. Prior to the 1970s, Hayek did not favor laissez-faire in banking and said that a freely competitive banking industry tends to be endogenously destabilizing and pro-cyclical, mimicking the effects which Rothbard attributed to central bank policy. Hayek stated that the need for central banking control was inescapable. Many theories developed by "first wave" Austrian economists have long been absorbed into mainstream economics. 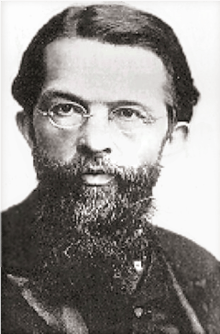 These include Carl Menger's theories on marginal utility, Friedrich von Wieser's theories on opportunity cost, and Eugen Böhm von Bawerk's theories on time preference, as well as Menger and Böhm-Bawerk's criticisms of Marxian economics. Former U.S. Federal Reserve Chairman Alan Greenspan said that the founders of the Austrian School "reached far into the future from when most of them practiced and have had a profound and, in my judgment, probably an irreversible effect on how most mainstream economists think in this country." In 1987, Nobel Laureate James M. Buchanan told an interviewer, "I have no objections to being called an Austrian. Hayek and Mises might consider me an Austrian but, surely some of the others would not." Chinese economist Zhang Weiying supports some Austrian theories such as the Austrian theory of the business cycle. Currently, universities with a significant Austrian presence are George Mason University, New York University, Loyola University New Orleans, and Auburn University in the United States, King Juan Carlos University in Spain and Universidad Francisco Marroquín in Guatemala. Austrian economic ideas are also promoted by privately funded organizations such as the Mises Institute, and the Cato Institute. Mainstream economists have argued that Austrians are excessively averse to the use of mathematics and statistics in economics. Economist Bryan Caplan argues that many Austrians have not understood valid contributions of modern mainstream economics, causing them to overstate their differences with it. For example, Murray Rothbard stated that he objected to the use of cardinal utility in microeconomic theory. Caplan says that Rothbard did not understand the position he was attacking, because microeconomic theorists go to great pains to show that their results are derived for any monotonic transformation of an ordinal utility function, and do not entail cardinal utility. Economist Jeffrey Sachs argues that among developed countries, those with high rates of taxation and high social welfare spending perform better on most measures of economic performance compared to countries with low rates of taxation and low social outlays. He concludes that Friedrich Hayek was wrong to argue that high levels of government spending harms an economy, and "a generous social-welfare state is not a road to serfdom but rather to fairness, economic equality and international competitiveness." Austrian economist Sudha Shenoy responded by arguing that countries with large public sectors have grown more slowly. Economist Bryan Caplan has noted that Mises has been criticized for overstating the strength of his case in describing socialism as impossible rather than as something that would need to establish non-market institutions to deal with the inefficiency. Although economist Leland Yeager is sympathetic to Austrian economics, he rejects many favorite views of the Misesian group of Austrians, in particular, "the specifics of their business-cycle theory, ultra-subjectivism in value theory and particularly in interest-rate theory, their insistence on unidirectional causality rather than general interdependence, and their fondness for methodological brooding, pointless profundities, and verbal gymnastics." Economist Paul A. Samuelson wrote in 1964 that most economists believe that economic conclusions reached by pure logical deduction are limited and weak. According to Samuelson and economist Bryan Caplan, Mises' deductive methodology also embraced by Murray Rothbard and to a lesser extent by Mises' student, Israel Kirzner was not sufficient in and of itself. Bryan Caplan wrote that the Austrian challenge to the realism of neoclassical assumptions helped work towards making those assumptions more plausible. The promise of an Austrian theory of the trade cycle, which might also serve to explain the severity of the Great Depression, a feature of the early 1930s that provided the background for Hayek’s successful appearance on the London scene, soon proved deceptive. Three giants – Keynes, Knight and Sraffa – turned against the hapless Austrians who, in the middle of that black decade, thus had to do battle on three fronts. Naturally it proved a task beyond their strength. Some economists argue that Austrian business cycle theory requires bankers and investors to exhibit a kind of irrationality, because the Austrian theory posits that investors will be fooled repeatedly (by temporarily low interest rates) into making unprofitable investment decisions. Bryan Caplan writes: "Why does Rothbard think businessmen are so incompetent at forecasting government policy? He credits them with entrepreneurial foresight about all market-generated conditions, but curiously finds them unable to forecast government policy, or even to avoid falling prey to simple accounting illusions generated by inflation and deflation... Particularly in interventionist economies, it would seem that natural selection would weed out businesspeople with such a gigantic blind spot." Economist Paul Krugman has argued that the theory cannot explain changes in unemployment over the business cycle. Austrian business cycle theory postulates that business cycles are caused by the misallocation of resources from consumption to investment during "booms", and out of investment during "busts". Krugman argues that because total spending is equal to total income in an economy, the theory implies that the reallocation of resources during "busts" would increase employment in consumption industries, whereas in reality, spending declines in all sectors of an economy during recessions. He also argues that according to the theory the initial "booms" would also cause resource reallocation, which implies an increase in unemployment during booms as well. In response, historian David Gordon argues that Krugman's analysis misrepresents Austrian theory. Gordon states, "unemployment, as Austrians see matters, stems mainly from rigid wage rates. If workers accept a fall in wages, liquidation of the boom is compatible with full employment." Austrian economist Roger Garrison states that a false boom caused by artificially low interest rates would cause a boom in consumption goods as well as investment goods (with a decrease in "middle goods"), thus explaining the jump in unemployment at the end of a boom. Garrison has also stated that capital allocated to investment goods cannot always be redeployed to create consumption goods. Economist Jeffery Hummel is critical of Hayek's explanation of labor asymmetry in booms and busts. He argues that Hayek makes peculiar assumptions about demand curves for labor in his explanation of how a decrease in investment spending creates unemployment. He also argues that the labor asymmetry can be explained in terms of a change in real wages, but this explanation fails to explain the business cycle in terms of resource allocation. Jeffery Hummel has argued that the Austrian explanation of the business cycle fails on empirical grounds. In particular, he notes that investment spending remained positive in all recessions where there are data, except for the Great Depression. He argues that this casts doubt on the notion that recessions are caused by a reallocation of resources from industrial production to consumption, since he argues that the Austrian business cycle theory implies that net investment should be below zero during recessions. In response, Austrian economist Walter Block argues that the misallocation during booms does not preclude the possibility of demand increasing overall. In 1969, Milton Friedman, after examining the history of business cycles in the U.S., concluded that "The Hayek-Mises explanation of the business cycle is contradicted by the evidence. It is, I believe, false." He analyzed the issue using newer data in 1993, and again reached the same conclusion. Referring to Friedman's discussion of the business cycle, Austrian economist Roger Garrison argued that Friedman's empirical findings are "broadly consistent with both Monetarist and Austrian views", and goes on to argue that although Friedman's model "describes the economy's performance at the highest level of aggregation; Austrian theory offers an insightful account of the market process that might underlie those aggregates." 1 2 3 4 5 6 7 Boettke, Peter J. (2008). "Austrian School of Economics". In David R. Henderson (ed.). Concise Encyclopedia of Economics (2nd ed.). Library of Economics and Liberty. ISBN 978-0865976658. OCLC 237794267. ↑ Boettke, Peter. "Is Austrian Economics Heterodox Economics?". The Austrian Economists. Archived from the original on 28 March 2009. Retrieved 2009-02-13. 1 2 Boettke, Peter J.; Peter T. Leeson (2003). "28A: The Austrian School of Economics 1950-2000". In Warren Samuels; Jeff E. Biddle; John B. Davis. A Companion to the History of Economic Thought. Blackwell Publishing. pp. 446–452. ISBN 978-0-631-22573-7. ↑ "Heterodox economics: Marginal revolutionaries". The Economist. December 31, 2011. Retrieved February 22, 2012. ↑ von Mises, Ludwig (1984) . The Historical Setting of the Austrian School of Economics (PDF). Ludwig von Mises Institute. ↑ Keizer, Willem (1997). Austrian Economics in Debate. New York: Routledge. ISBN 978-0-415-14054-6. ↑ "Biography of Fritz Machlup". Retrieved 16 June 2013. ↑ Oskar Morgenstern (Oct 1951). "Abraham Wald, 1902–1950". Econometrica. The Econometric Society. 19 (4): 361–367. doi:10.2307/1907462. JSTOR 1907462. ↑ Kirzner, Israel. "Interview of Israel Kirzner". Ludwig von Mises Institute. Retrieved 17 June 2013. 1 2 3 4 5 6 Caplan, Bryan (2008-01-02). "What's Wrong With Austrian Business Cycle Theory". Library of Economics and Liberty. Retrieved 2008-07-28. ↑ "Remembering Henry Hazlitt". The Freeman. Retrieved 2013-03-11. ↑ "Biography of Henry Hazlitt". Ludwig von Mises Institute. Retrieved 2013-03-11. 1 2 3 4 Caplan, Bryan (1999). "The Austrian Search for Realistic Foundations" (PDF). Southern Economic Journal. 65 (4): 823–838. doi:10.2307/1061278. JSTOR 1061278. ↑ Hoppe, Hans-Hermann (1999). 15 Great Austrian Economists – Murray Rothbard (PDF). Alabama: Ludwig von Mises Institute. pp. 223 ff. ↑ "Dr. Walter Block: Austrian vs Chicago Schools". Mises Canada : Rothbard School 2014. Retrieved 3 December 2014. 1 2 "Senior Fellows, Faculty Members, and Staff". Mises.org. Retrieved July 21, 2013. ↑ Robert Murphy blog, December 31, 2011. 1 2 White, Lawrence H. (2003). The Methodology of the Austrian School Economists (revised ed.). Ludwig von Mises Institute. ↑ "The Ultimate Foundation of Economic Science by Ludwig von Mises". Mises.org. Retrieved 2012-08-13. ↑ Bruce J. Caldwell "Praxeology and its Critics: an Appraisal" History of Political Economy Fall 1984 16(3): 363–379; doi:10.1215/00182702-16-3-363 "Praxeology and Its Critics" (PDF). ↑ Richard N. Langlois, "FROM THE KNOWLEDGE OF ECONOMICS TO THE ECONOMICS OF KNOWLEDGE: FRITZ MACHLUP ON METHODOLOGY AND ON THE "KNOWLEDGE SOCIETY" Research in the History of Economic Thought and Methodology, Volume 3, "Machlup Knowledge" (PDF). , 1985. ↑ Lachmann, Ludwig (1973). Macroeconomic Thinking and the Market Economy (PDF). Institute of Economic Affairs. ↑ Garrison, Roger (1978). "Austrian Macroeconomics: A Diagrammatical Exposition" (PDF). Institute for Humane Studies. Retrieved 5 October 2015. ↑ Machlup, Fritz (1981). "Homage to Mises". Hillsdale College. pp. 19–27. Retrieved 8 August 2013. ↑ Kirzner, Israel M.; Lachman, Ludwig M. (1986). Subjectivism, intelligibility and economic understanding: essays in honor of Ludwig M. Lachmann on his eightieth birthday (Illustrated ed.). McMillan. ISBN 978-0-333-41788-1. ↑ "Opportunity Cost". Investopedia. Archived from the original on 14 September 2010. Retrieved 2010-09-18. ↑ James M. Buchanan (2008). "Opportunity cost". The New Palgrave Dictionary of Economics Online (Second ed.). Retrieved 2010-09-18. ↑ "Opportunity Cost". 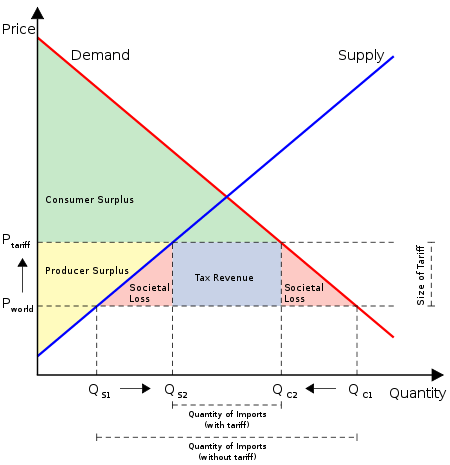 Economics A–Z. The Economist. Archived from the original on 9 October 2010. Retrieved 2010-09-18. 1 2 Böhm-Bawerk, Eugen Ritter von; Kapital Und Kapitalizns. Zweite Abteilung: Positive Theorie des Kapitales (1889). Translated as Capital and Interest. II: Positive Theory of Capital with appendices rendered as Further Essays on Capital and Interest. ↑ von Mises, Ludwig (1980). "Economic Freedom and Interventionism". In Greaves, Bettina B. Economics of Mobilization. Sulphur Springs, West Virginia: The Commercial and Financial Chronicle. Inflation, as this term was always used everywhere and especially in this country, means increasing the quantity of money and bank notes in circulation and the quantity of bank deposits subject to check. But people today use the term "inflation" to refer to the phenomenon that is an inevitable consequence of inflation, that is the tendency of all prices and wage rates to rise. The result of this deplorable confusion is that there is no term left to signify the cause of this rise in prices and wages. There is no longer any word available to signify the phenomenon that has been, up to now, called inflation ... As you cannot talk about something that has no name, you cannot fight it. Those who pretend to fight inflation are in fact only fighting what is the inevitable consequence of inflation, rising prices. Their ventures are doomed to failure because they do not attack the root of the evil. They try to keep prices low while firmly committed to a policy of increasing the quantity of money that must necessarily make them soar. As long as this terminological confusion is not entirely wiped out, there cannot be any question of stopping inflation. ↑ Von Mises, Ludwig (1990). Economic calculation in the Socialist Commonwealth (PDF). Ludwig von Mises Institute. ISBN 0-945466-07-2. Archived (PDF) from the original on 23 September 2008. Retrieved 2008-09-08. 1 2 The socialist calculation debate Archived February 18, 2009, at the Wayback Machine. ↑ Ludwig von Mises. "The Principle of Methodological Individualism". Human Action. Ludwig von Mises Institute. Archived from the original on 22 April 2009. Retrieved 2009-04-24. ↑ White, Lawrence H. (1999). "Why Didn't Hayek Favor Laissez Faire in Banking?" (PDF). History of Political Economy. 31 (4): 753. doi:10.1215/00182702-31-4-753. Retrieved 11 April 2013. ↑ It has also influenced related disciplines such as Law and Economics, see. K. Grechenig, M. Litschka, Law by Human Intent or Evolution? Some Remarks on the Austrian School of Economics' Role in the Development of Law and Economics, European Journal of Law and Economics (EJLE) 2010, vol. 29 (1), p. 57-79. ↑ "About the Mises Institute". Mises.org. Retrieved July 21, 2013. 1 2 White, Lawrence H. (2008). "The research program of Austrian economics". Advances in Austrian Economics. Emerald Group Publishing Limited: 20. ↑ Caplan, Bryan. "Why I Am Not an Austrian Economist". George Mason University. Retrieved 2008-07-04. According to Rothbard, the mainstream approach credulously accepted the use of cardinal utility, when only the use of ordinal utility is defensible. As Rothbard insists, "Value scales of each individual are purely ordinal, and there is no way whatever of measuring the distance between the rankings; indeed, any concept of such distance is a fallacious one." ... As plausible as Rothbard sounds on this issue, he simply does not understand the position he is attacking. The utility function approach is based as squarely on ordinal utility as Rothbard's is. The modern neoclassical theorists – such as Arrow and Debreau – who developed the utility function approach went out of their way to avoid the use of cardinal utility ... To sum up, Rothbard falsely accused neoclassical utility theory of assuming cardinality. It does not. ↑ Krugman, Paul (7 April 2010). "The Conscience of a Liberal: Martin And The Austrians". The New York Times. Retrieved 2011-09-21. ↑ Klein, Benjamin. "Book review: Competition and Entrepreneurship" (by Israel M. Kirzner, University of Chicago Press, 1973) Journal of Political Economy. Vol. 83: No. 6, 1305–1306, December 1975. ↑ Cowen, Tyler (May 2003). "Entrepreneurship, Austrian Economics, and the Quarrel Between Philosophy and Poetry". Review of Austrian Economics. 16 (1): 5. doi:10.1023/A:1022958406273. ↑ Sachs, Jeffrey (October 2006). "The Social Welfare State, Beyond Ideology". Scientific American. Retrieved 2008-06-20. ↑ Caplan, Bryan (2004). "Is socialism really "impossible"?". Critical Review. 16: 33–52. doi:10.1080/08913810408443598. ↑ White, Lawrence H. (2008). "The research program of Austrian economics". Advances in Austrian Economics. Emerald Group Publishing Limited: 20. 1 2 "Rules for the study of natural philosophy", Newton 1999, pp. 794–6, from Book 3, The System of the World. 1 2 Samuelson, Paul A. (September 1964). "Theory and Realism: A Reply". The American Economic Review. American Economic Association: 736–739. Well, in connection with the exaggerated claims that used to be made in economics for the power of deduction and a priori reasoning ... – I tremble for the reputation of my subject. Fortunately, we have left that behind us. 1 2 Mayer, Thomas (Winter 1998). "Boettke's Austrian critique of mainstream economics: An empiricist's response". Critical Review. Routledge. 12: 151–171. doi:10.1080/08913819808443491. ↑ Morgan, Mary S. (2008). "Models". The New Palgrave Dictionary of Economics. Retrieved 22 November 2011. ↑ Hoover, Kevin D. (2008). "Causality in economics and econometrics". The New Palgrave Dictionary of Economics. Retrieved 22 November 2011. ↑ Yeager, Leland B (1997). "Austrian Economics, Neoclassicism, and the Market Test". Journal of Economic Perspectives. 11 (4): 153–165. doi:10.1257/jep.11.4.153. JSTOR 2138469. ↑ Samuelson, Paul (1964). Economics (6th ed.). New York: McGraw-Hill. p. 736. ISBN 978-0-07-074741-8. 1 2 Friedman, Milton. "The Monetary Studies of the National Bureau, 44th Annual Report". The Optimal Quantity of Money and Other Essays. Chicago: Aldine. pp. 261–284. 1 2 Friedman, Milton. "The 'Plucking Model' of Business Fluctuations Revisited". Economic Inquiry: 171–177. 1 2 Krugman, Paul (1998-12-04). "The Hangover Theory". Slate. Archived from the original on 2010-11-07. Retrieved 2008-06-20. ↑ Roger W. Garrison. "Hayek on Industrial Fluctuations – Roger W. Garrison – Mises Daily". Mises.org. Retrieved 2012-08-13. 1 2 Hummel, Jeffery Rogers (Winter 1979). "Problems with Austrian Business Cycle Theory" (PDF). Reason Papers. pp. 41–53. Retrieved 2011-09-17.